First of all, it was necessary to choose lake subdivisions where there were enough sales of each type of property. It would have been ideal to find the exact home on the lake with the same upgrades and floorplan as a home not on the lake that sold in the same month, but things arent’ that easy. 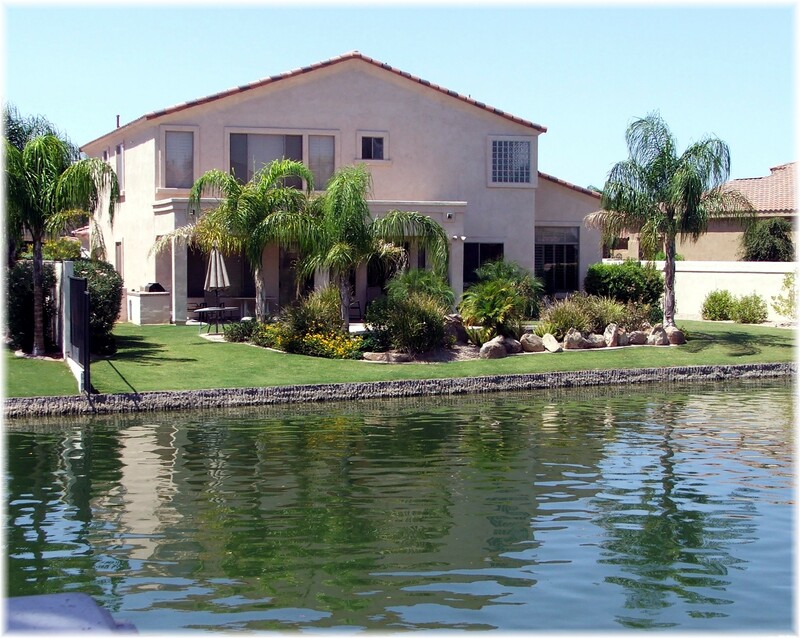 I ultimately chose Octotillo Lakes in Chandler and The Islands in Gilbert for the waterfront home premium analysis, and used the home sales as reported in the Arizona Regional Multiple Listing Service for 2008. Last year the average Ocotillo Lakes waterfront home sold for $568,189 while non-waterfront homes sold for $378,215, but waterfront homes tend to be larger in size. 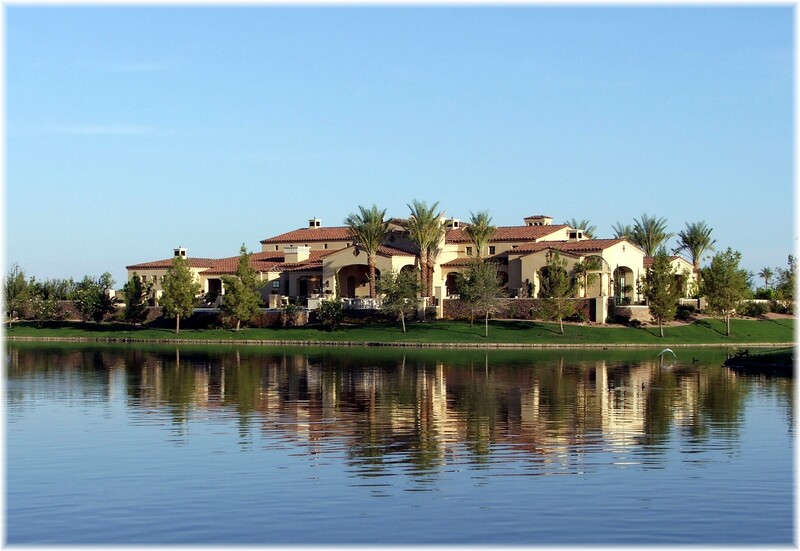 For Ocotillo Lakes, the average waterfront home was 2,928 sq.ft. and sold for $193/square foot. Non-waterfront homes had an average square footage of 2,505, and sold for $150/square foot. It seems to me that the best comparison is that of price/square foot,although not a perfect comparison. In Ocotillo Lakes, the average waterfront home sold for $43/sq.ft more than the average non-waterfront home in the same area. The math says that for a 2,500 sq.ft. house, being on the water resulted in a sale price of $107,500 more than its’ off water counterpart. For The Islands in Gilbert, the average sales price/square foot for a waterfront home for 2008 was $165/sq.ft. with an average home size of 2,312 square feet. A home in The Islands not on the water sold for $127/sq.ft. and was 2,012 square feet. So the waterfront premium for the The Islands was $38/square foot. It should come as no suprise that waterfront homes command a premium, but as shown above that premium will vary by subdivision. It also appears that the initial investment made by the buyer was wise and they enjoyed a good return on the waterfront lot premium. If you have any questions about other Phoenix area waterfront homes or communities or the associated value of waterfront home premium, please call 480-326-8571 or contact me via e-mail. Waterfront homes will always have demand. In Miami Beach, even with the current housing crisis, waterfront homes prices have not depreciated as much as rest of greater Miami homes. Great post and good explanation.